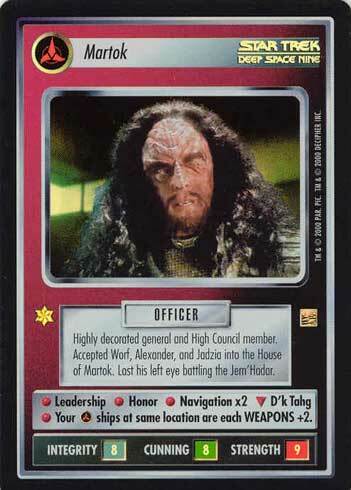 Highly decorated general and High Council member. 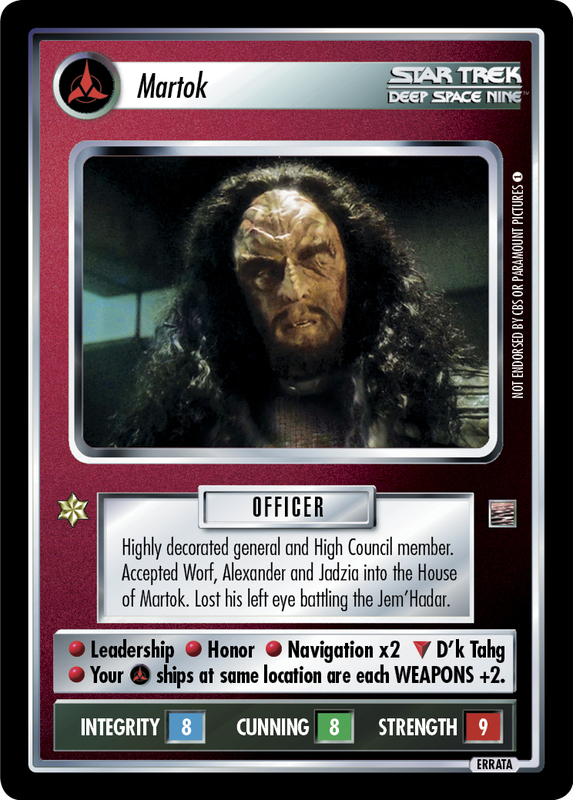 Accepted Worf, Alexander and Jadzia into the House of Martok. 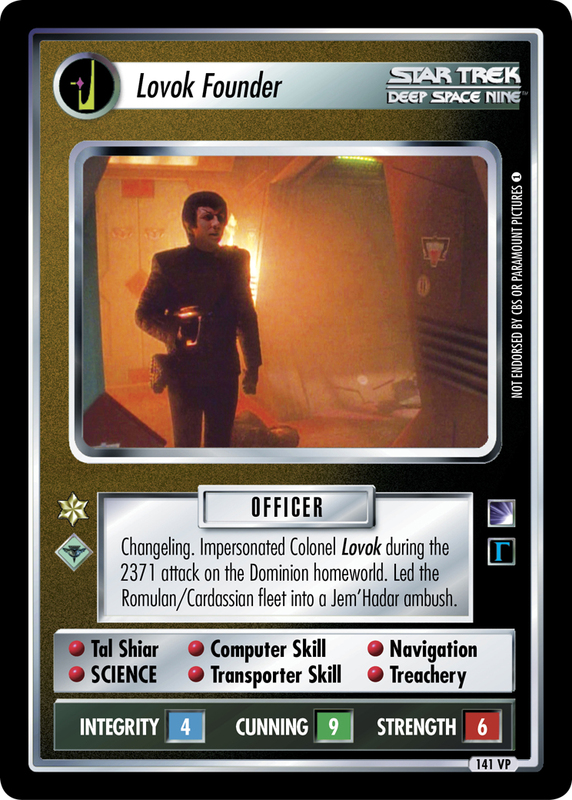 Lost his left eye battling the Jem'Hadar. 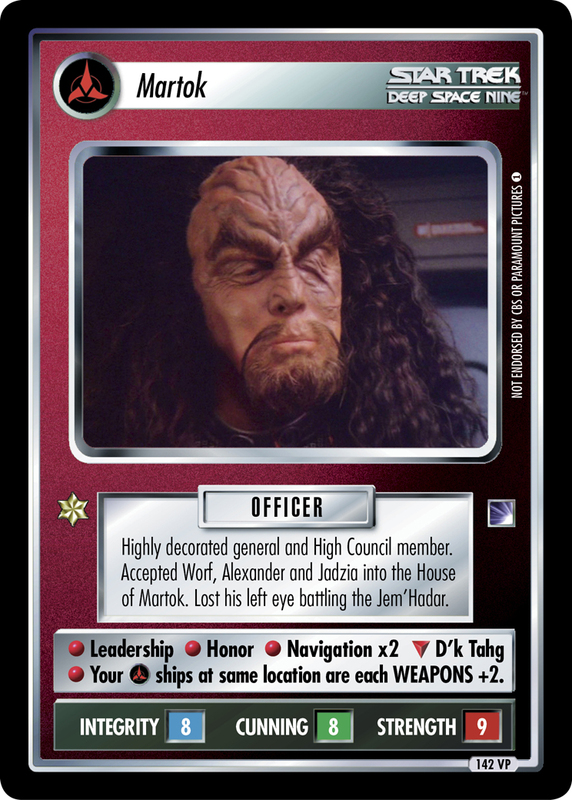 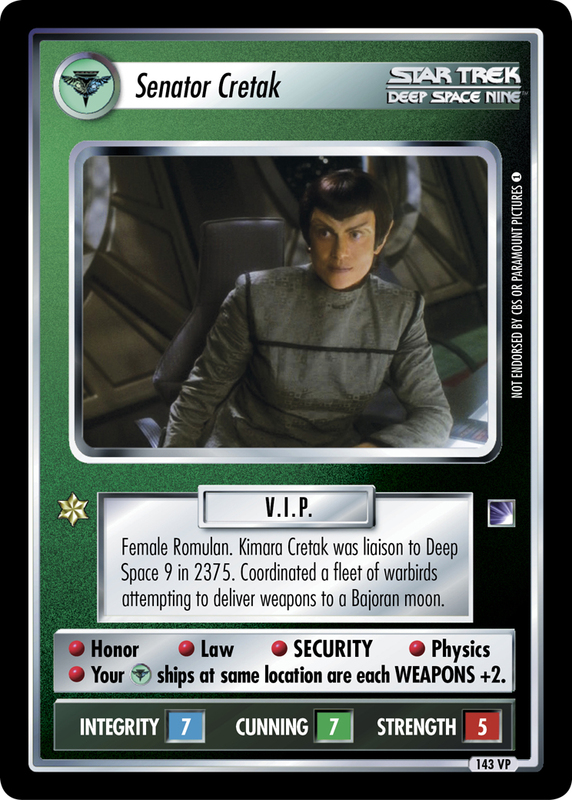 • Leadership • Honor • Navigation x2 ∇ D'k Tahg • Your ships at same location are each WEAPONS +2.